After our Swapit for Social Good pitch, Regina from #impact reached out to me for a podcast. Of course, I was happy to share my views on how Swapit can have an impact in the world and Regina was kind enough to drop by our office and have a little chat with me. I have just listened to the entire podcast for the first time and it was actually fun listen to it. There is even a short childhood story of me selling stuff at school back in the 90’s. Every now and then, some of my childhood friends still bring that up when we meet up for drinks at the bar. It’s actually quite interesting how these childhood experience can shape your life so many years later. If you’d like to check out Regina’s other podcasts, you can head to her website hashtagimpact.com or subscribe to the #impact podcast on iTunes. Thanks again Regina for having me on your Podcast. Keep up the good work! Last year Swapit won the Best Interface Design Award at the E2 Day 2015. Therefore, the E2 organizers have invited us to speak at the E2 Day 2016 about our experience thus far. I will be sharing some insights on our progress over the past year and perhaps explain some of our secret sauce tactics for establishing, maintaining and accelerating our incredible traction. The event takes place on a Saturday afternoon in Kowloon Tong. A great time to come by, check out the E2 Day and then go shopping at Festival Walk – one of my favorite malls in Hong Kong. The swapit team will be present at the HKTDC Entrepreneur Day which is being held at the Hong Kong Convention Centre tomorrow and Saturday, May 29th to May 30th, 2015. We are happy to give all of you a demo of our swapit, tell you a bit more about our philosophy and why we are building swapit in the buzzling city of Hong Kong. We love to talk to each of you! Sometimes we get asked why we launch in Hong Kong. Well, besides the fact that this is our place of life and work, Hong Kong has some unique qualities which non-Hongkongers might not know about. Long story short: this handover and its agreement was put into place to ensure Hong Kong remains one of the most competitive markets in the world. Hong Kong’s laissez-faire approach to business, low tax rates, open labor market, considerably easy immigration policies and the entrepreneural spirit of its people, make it the perfect launch base for swapit. Ever since Hong Kong was transformed from an unimportant rock in the South China Sea into a global trade powerhouse, import/export and trading companies have done great business here that shaped mind of the Hong Kong people to be absolute world leaders in that field. That very spirit of buying and selling goods is crucial to the idea behind swapit and we believe it helps creating an active trading platform that entirely lives on mobile. In fact, Hong Kong is full of exciting startups that chose Hong Kong as their launch pad for their product. At the same time Uber – the US startup that disrupts the taxi industry world-wide and is valued at US$41 bln – has launched its very own new service Uber Cargo exclusively in Hong Kong. Of all places, also Uber chose Hong Kong to launch their new service and show the world how a new business model applied to an existing industry & market can work in an efficient way that makes customers happy and provide a superior service. Hong Kong is the right place to launch a new product or startup that wants to either succeed locally, launch into China or it comes from China and wants to launch into the rest of the world. 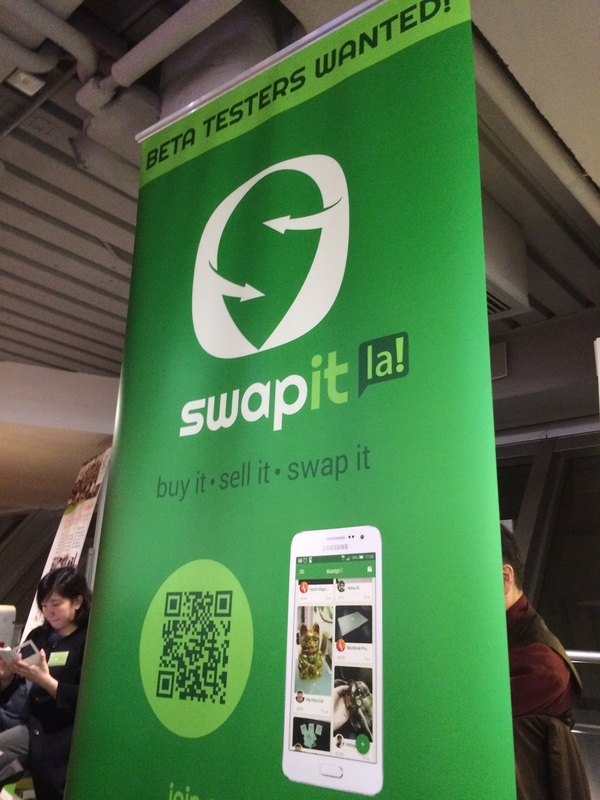 Hong Kong is our launch base for swapit because it makes sense. The location is right, people’s mindset is ready, smartphone penetration is high, and most importantly the local market with its 7 million inhabitants is large enough for swapit to gain traction and even be profitable.